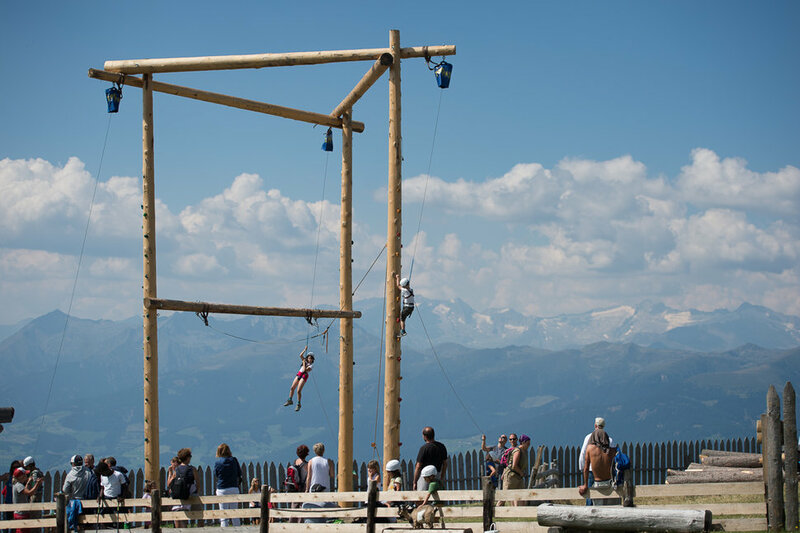 Riding the cable-car up the peak of Mount Kronplatz is only the first bit of excitement for our little guests: Once they're at the top, there's plenty of fun to discover! 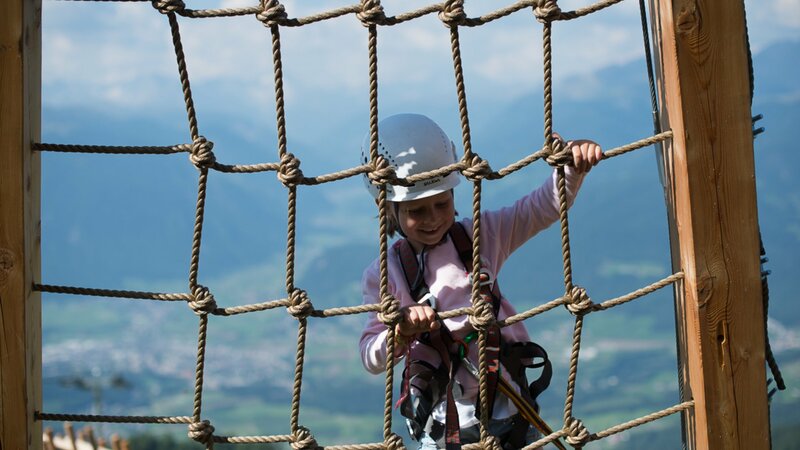 At Kronplatz, kids are in for a real treat – with many challenges to test their agility and bravery, great views from lofty heights and endless fun in our ropes course, where young mountaineers from the age of five can try out climbing in a safe environment. The required equipment is of course available from the nearby teepee village.